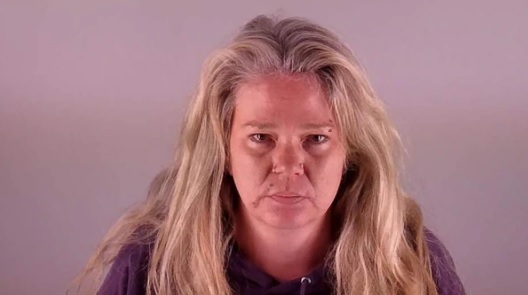 A Bend woman who struck and killed a cyclist in December 2017 was “impaired on her dog’s medication at the time of the crash,” according to court records filed Monday by the Deschutes County District Attorney’s office. Shantel Lynn Witt was driving east of Bend in December 2017 when she plowed into Marika Stone, a Bend dentist cycling west with two friends on Dodds Road. Witt was driving eastbound and crossed the center line. Two of the cyclists were able to avoid Witt’s 2002 GMC Sierra, but Stone was instantly killed. Witt faces manslaughter charges, and prosecutors allege she had at least 11 medications in her system at the time of the mid-afternoon crash, including her dog’s Xanax. She also had three empty beer cans, a handgun and a Taco Bell receipt from that afternoon, according to an affidavit. In the documents filed in response to Witt’s attorney’s request for a delayed trial, prosecutors stated Witt had her dog’s anxiety and panic disorder medication in her system – and a pill bottle in her truck with the dog’s name – Lola — on it. “The defense provided the state with veterinary records showing that Ms. Witt’s dog was given a prescription for Xanax two days before the crash,” prosecutors wrote in the filing. According to the court records, 11 of Lola’s 20 pills were missing. Witt also had in her system more than one muscle relaxer, another anti-anxiety medication called meprobamate, the anti-depressant Paxil and other drugs. Police detectives didn’t remove the prescription bottle of Xanax at the time of the crash, according to court records. The detective “did not anticipate that Witt would have consumed dog’s medication,” prosecutors wrote. Last weekend, the sheriff’s office got a warrant to search Witt’s truck and recovered the bottle. According to the Bend Bulletin’s account of Monday’s hearing, Witt’s attorneys argued to exclude the bottle from the case, and Judge Michael Adler agreed. Prosecutors had argued that while Xanax was in Witt’s system, they weren’t made aware of the veterinary records indicating Lola’s prescription until this month. The Bulletin reports Witt pleaded guilty to possession of a controlled substance, one of the six charges she faces in the state’s indictment. The manslaughter trial continues Tuesday. Former Wis. cop charged in "suitcase murders"